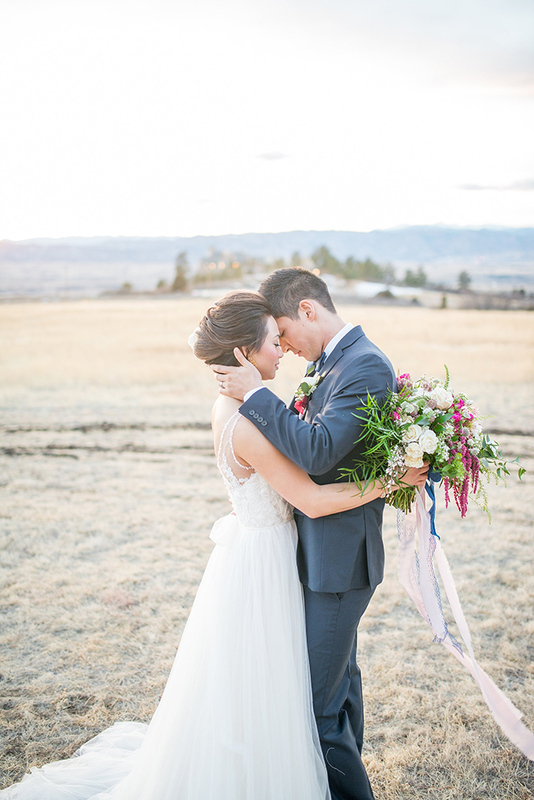 Pink and blue make for a fabulously romantic and rather bold color combination. 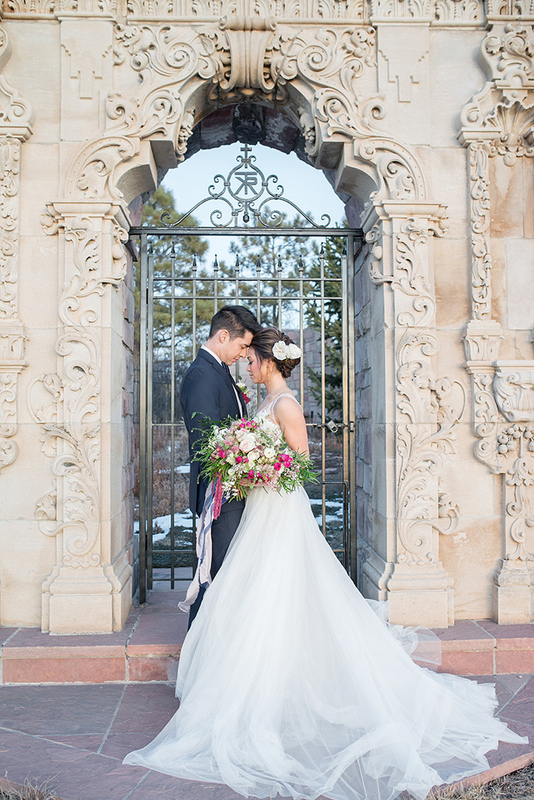 But what’s even more romantic about this wedding shoot is that it took place in a castle! 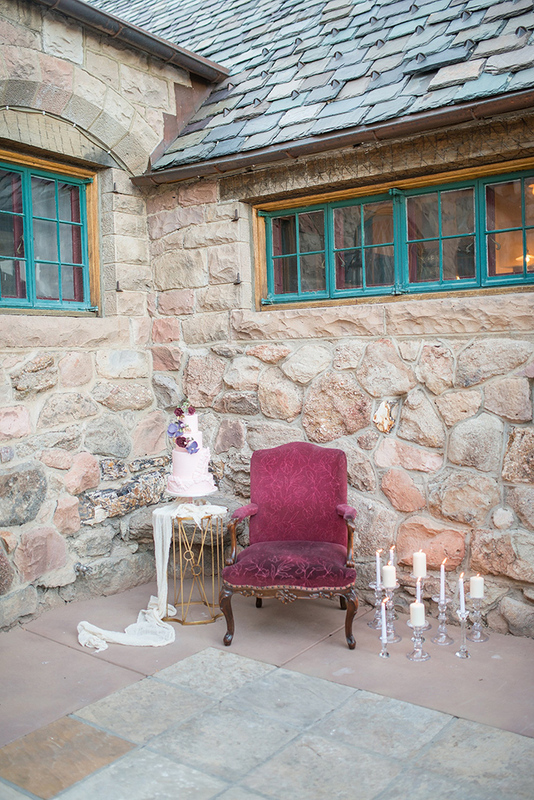 The spot for the shoot was utterly romantic, a breathtaking castle in Colorado, and the shoot got a fairy-tale feel thanks to it. 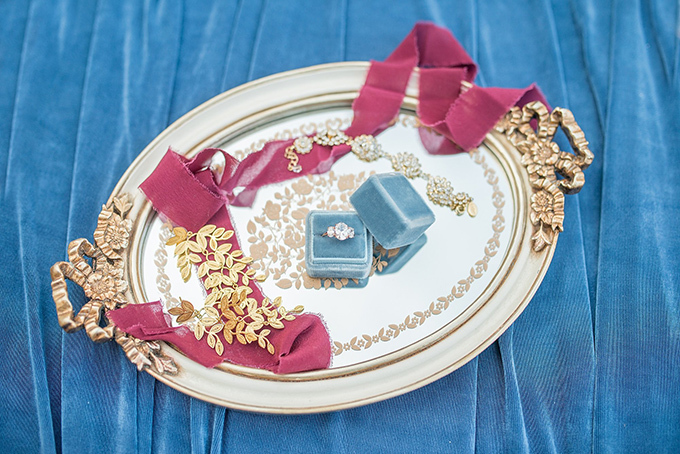 The color palette was dusky and ice blue with pops of pink, marsala, and rose gold and pulled in as many textural elements as possible. 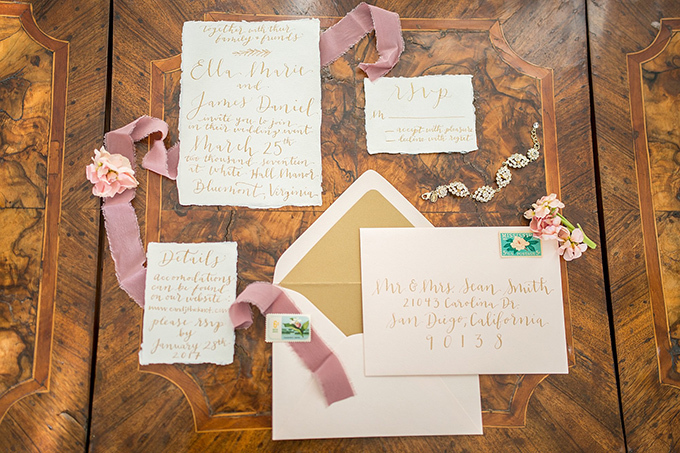 The wedding invitations were done in blush with soft gold calligraphy and with a raw edge for a bold look. 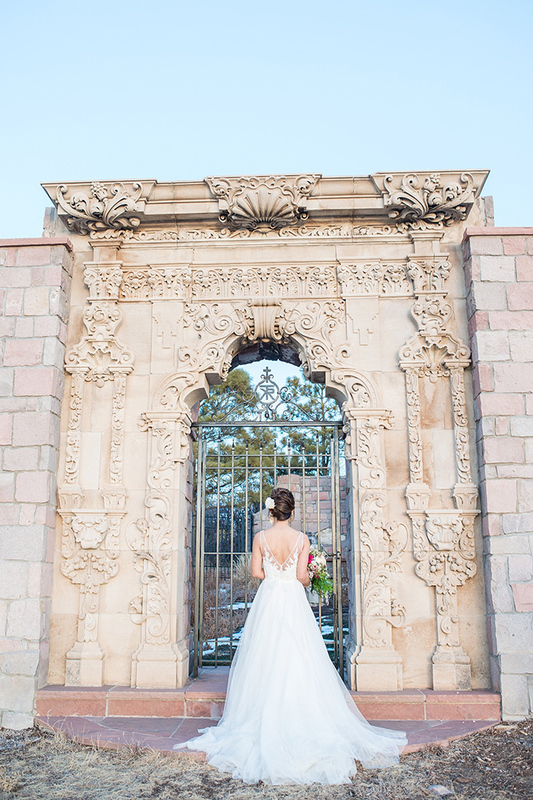 The bride was wearing a gorgeous sparkling ballgown with thick illusion straps, a V-neckline and V-cut back, which was delicately and beautifully embellished. She was also rocking an updo with a flower in her hair and cool embellished shoes, which added a romantic touch to her look. 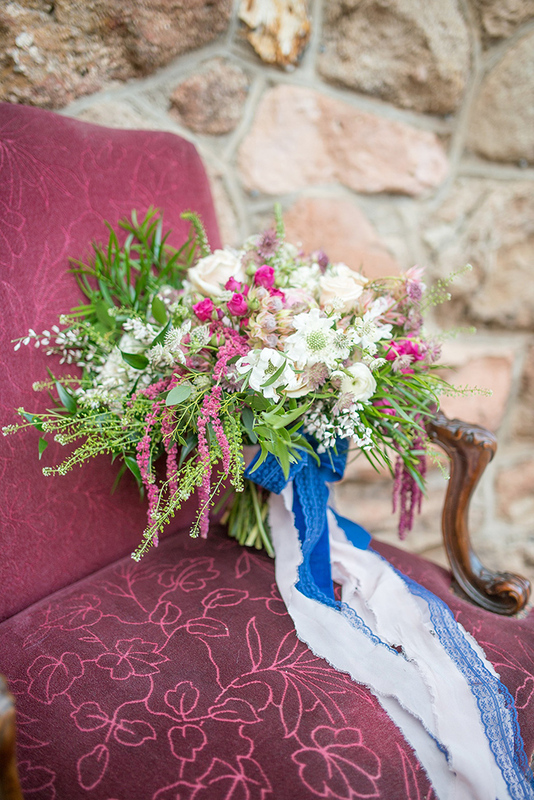 Her bridal bouquet featured many textures and looked very fresh. The groom was wearing a black suit with a blue bow tie. 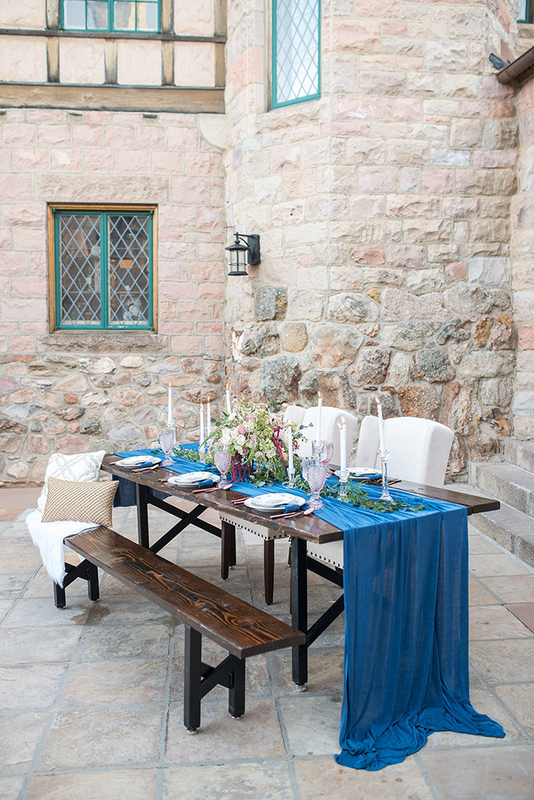 The wooden wedding table was styled with a blue velvet runner, there was a faux fur throw – all that to add textures to the look. 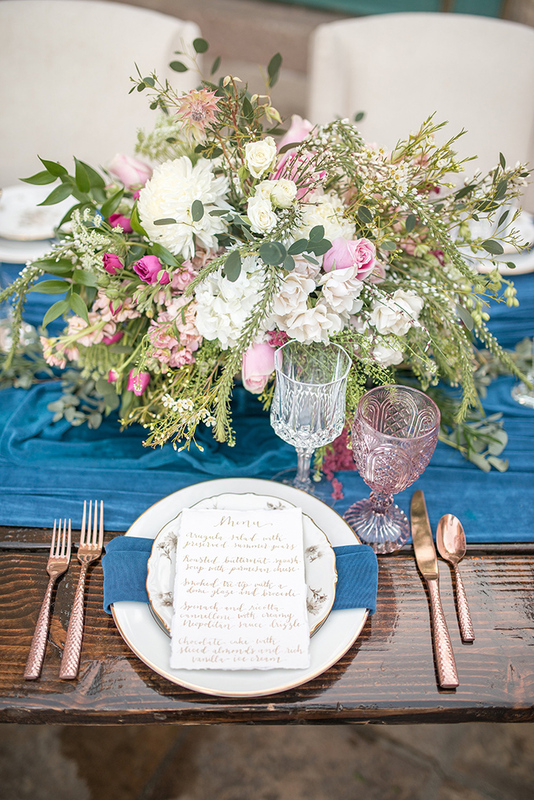 Candles and a textural floral centerpiece added romance to the tablescape, and floral plates and blue napkins finished the look. 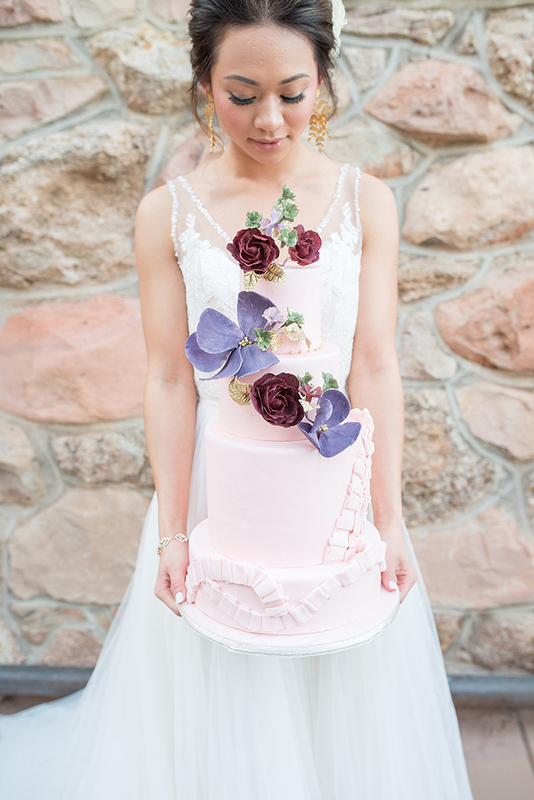 The wedding cake was a blush one, with oversized burgundy and purple sugar flowers that looked pretty natural. Wow!